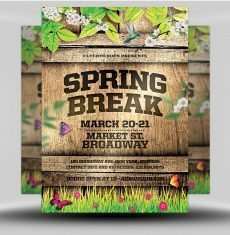 Getting pumped for Spring Break? 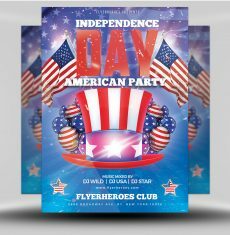 Hosting an event at your venue? 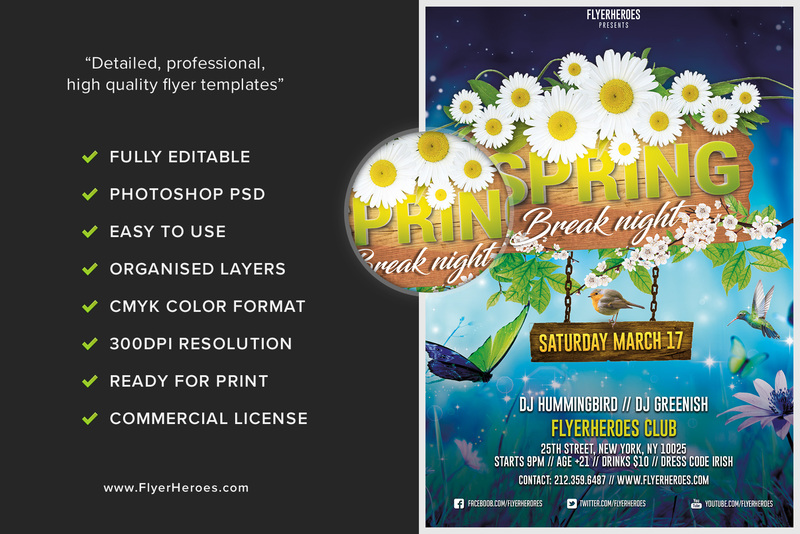 Promote it with this beautiful, exciting flyer! 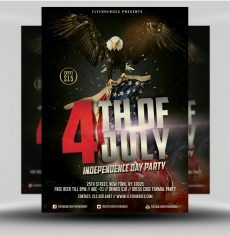 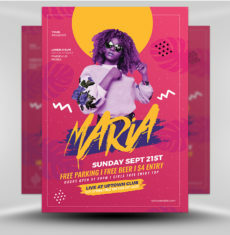 This flyer features an incredibly creative, bold, and colorful design. 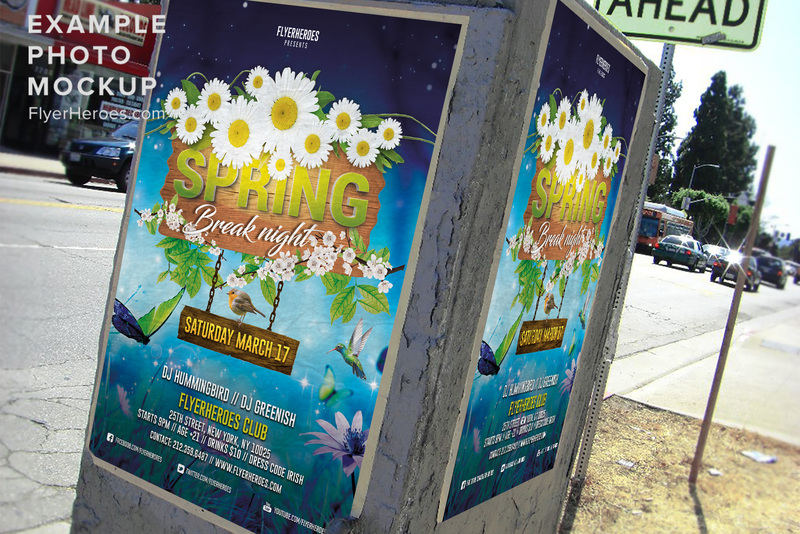 It uses a variety of warm, fresh nature colors to bring Spring directly to you. 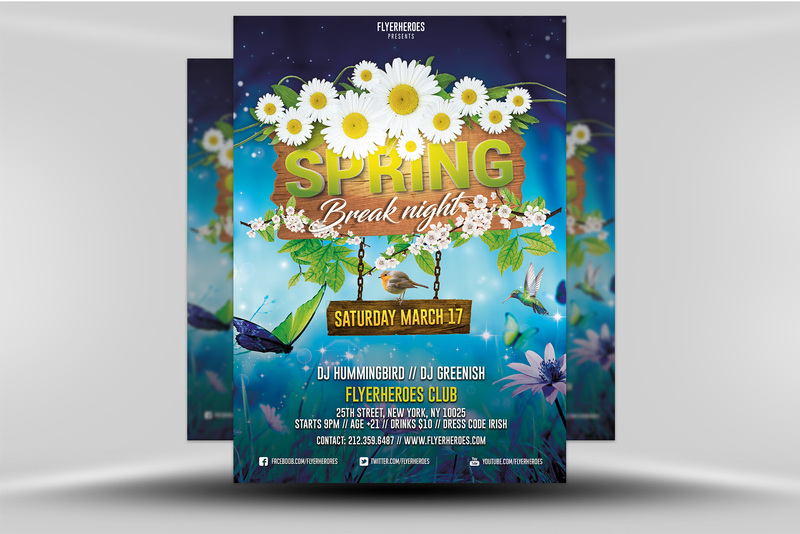 The beautiful, glowing blue background is filled with butterflies, flowers, birds, and bubbles. 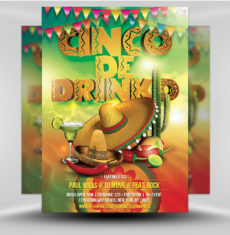 Instantly attracting your eye, the design is reminiscent of being in the world of Avatar. 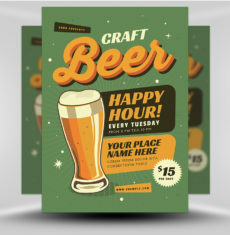 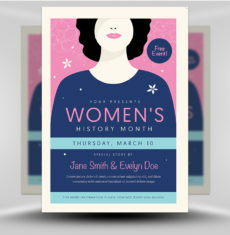 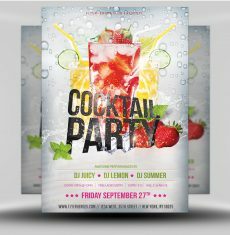 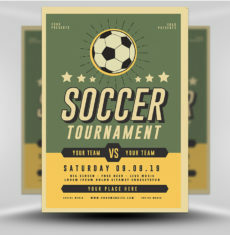 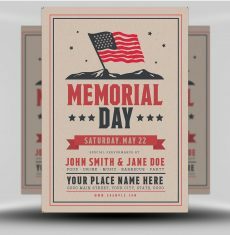 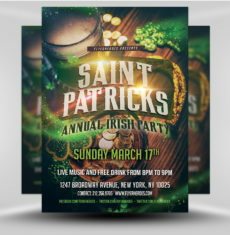 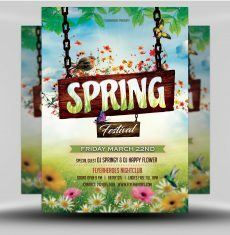 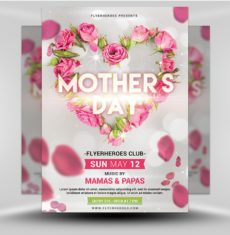 A variety of unique fonts, styles, sizes, and colors are used to promote your event information, which is easily customizable. 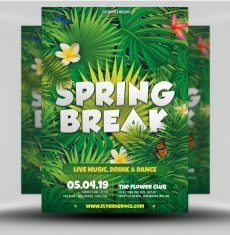 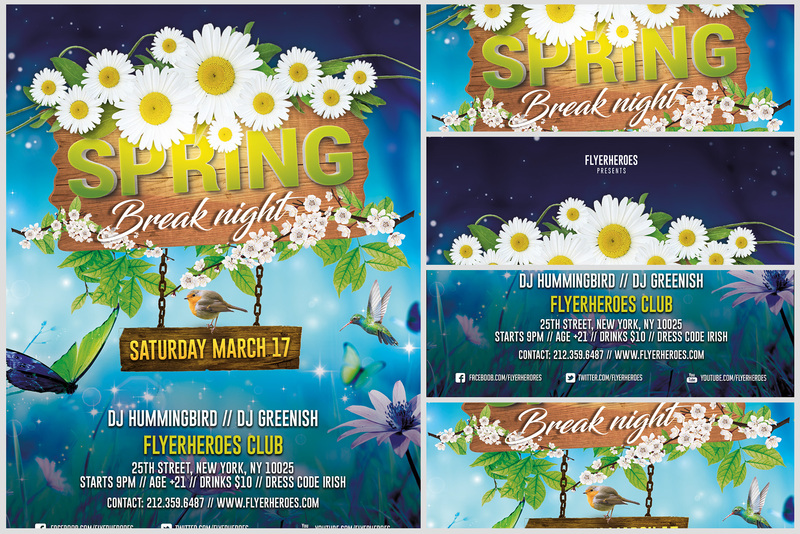 Use this flyer to promote a special Spring Break event at your bar, club, lounge, beach party, or other venue!